Day of the Employee of the Interior, better known as simply Police Day, is an official professional holiday in the Russian Federation. It is celebrated on November 10 every year. 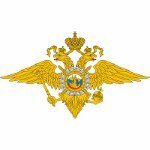 The history of Russian police began in 1917, when the Bolsheviks created the militsiya, which served as the main law enforcement body in the Soviet Union. After the dissolution of the USSR, the militsiya remained the main law enforcement body in Russia until 2011. As a result of the police reform of 2011, militsiya was renamed to police. The reform also involved centralization of financing, reduction of personnel, increases in wages, and changes to police and detainee rights. It aims to increase the efficiency of the country's police force, improve the public image of law enforcement, and decrease corruption. Professional holiday of Russia's law enforcement, originally known as Militsiya Day, was renamed to Police Day. On the occasion of the holiday, Russian policemen are congratulated by their superiors, Minister of Internal Affairs and other government officials. Some law enforcers receive special awards and prizes for their hard work, dedication, and professional accomplishments. Just like any other professional holiday in Russia, Police Day is a regular working day.